Explore one of Europe’s most important natural and cultural landscapes through Transylvania Bike Trails - a network of 100 km of bike trails built over the hills, through the flower-rich meadows and extensive forests, linking 8 unspoiled traditional villages and fortified churches (Viscri, Buneşti, Criț, Meşendorf, Cloaşterf, Saschiz, Archita & Daia) with the medieval town of Sighișoara. The trails range in difficulty from light, family suitable to medium and have information panels on flora and fauna. 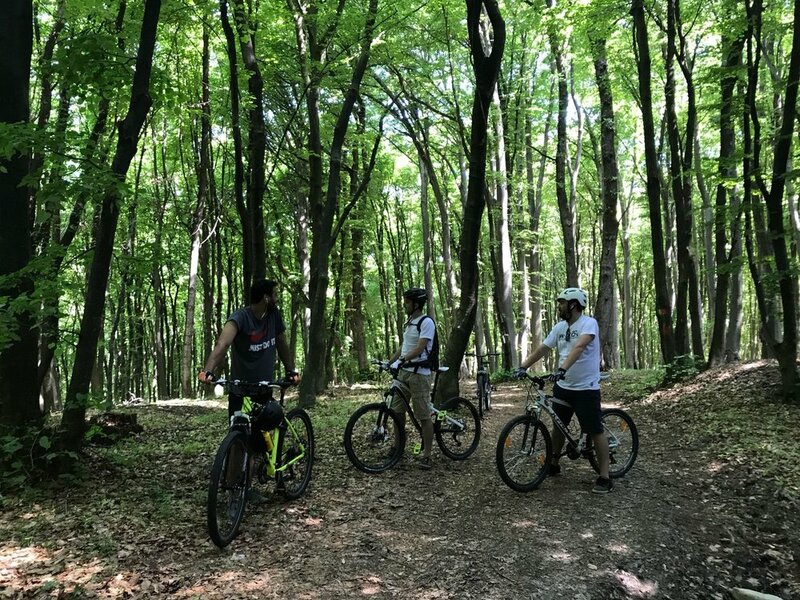 You can find a GPS map for the Meșendorf - Viscri - Bunești - Criț bike trail here. Please let us know if you need to rent bikes. The hills and forests surrounding Meşendorf offer unlimited options for trekking. Just admire the scenery and let yourselves be lost in nature. You will always see the top of the Meşendorf fortified church to guide you home. The European Union recognizes hunting as an activity that provides significant social, cultural, economic and environmental benefits. In this context we promote responsible hunting that respects the animals, the environment, the local people and the law. At Meşendorf you can hunt for deer or wild bores. Please contact us for more information.